If you’re like over one million Americans, you suffer from rheumatoid arthritis. This potentially crippling disease can devastate a person’s life. And while there’s no known cause or cure, there is a lot we do know, and a lot we’re discovering about how to treat it. 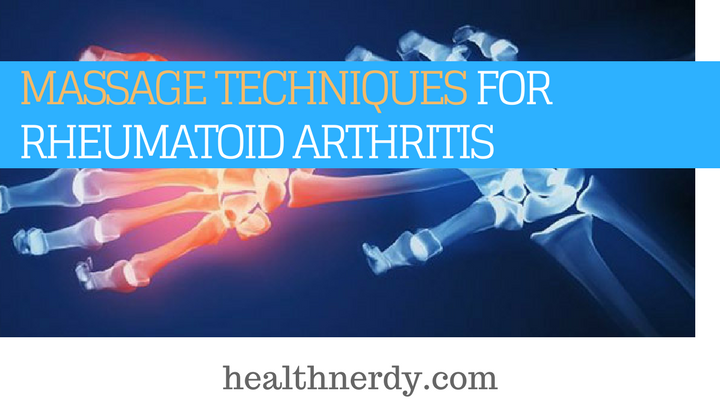 These discoveries are bringing relief to countless sufferers of rheumatoid arthritis, and they may very well do the same for you. Is Rheumatoid Arthritis a Contraindication for Massage? Rheumatoid arthritis (RA) is an autoimmune disease which effects the joints, and it’s often mistaken for osteoarthritis (OA), which is simple wear and tear on the joints and a gradual breakdown of the cartilage. RA can cause swelling and pain, first around small joints and then larger areas all over the body. RA can also strike the lungs, the heart, other tissues like muscles, cartilage, and ligaments. But RA can be treated in a variety of ways, including in many instances massage. The first question is whether massage is helpful or if it might even be damaging as therapy. In other words, is the disease a contraindication for massage as therapy? James Mulcahy wrote for the Livestrong Foundation, that, “The Mayo Clinic … points out that those with rheumatoid arthritis should avoid any massage therapy during flare-ups of their disease. The physical manipulation of the tissue and bone can aggravate the condition and increase levels of discomfort." Though pharmaceuticals have long been prescribed for rheumatoid arthritis, it’s now well known that massage helps ease rheumatoid arthritis. One reason is simple: Experts believe massage increases the brain’s output of serotonin, your body’s natural pain suppressant. There are a variety of popular massages for RA, with so-called moderate-pressure massage first on the list. Moderate pressure, or pressure that moves the skin, is key to easing stiffness and relieving pain associated with RA. A 2013 study showed that sufferers reported relief after just four once-a-week massage therapy sessions. Pressure should be firm, but not inducing pain. While massage is easy and non-invasive, its effects are only temporary. Regular and even self-massage may be preferred. Moderate-pressure massage isn’t the only type of massage recommended for rheumatoid arthritis. Myofascial release features extended pressure (up to three minutes) on affected areas of the body to break up tight connective tissue. Like moderate-pressure massage, myofascial stimulates blood flow and can trigger the body’s natural anti-inflammatory activities. A close cousin of myofascial release is called Rolfing, named for its creator, Ida P. Rolf. Part of the healing philosophy known as structural integration, Rolfing manipulates the facial issues by repositioning the body instead of extended pressure. It is known to be very effective for restoring range of motion and can help posture as well. Other possibilities for RA relief include Swedish, hope stone, and deep-tissue massage. Self-massage is available almost anytime and is the most economical type of massage you can get. It's also great for relieving the pain of RA. Lubricants are popular, easy to find, inexpensive, and come in a variety of textures, blends, and scents. It’s a matter of choice, but rubbing techniques may be easier and less abrasive to the skin with lotions. Apply heat before you self-massage to relax muscles. A hot, wet towel may work nicely. Use self-massage in addition to regular therapy treatments with a professional. Large strokes help prepare the muscles, encouraging blood flow and warmth. Smaller strokes, holding pressure points, rubbing along the length (and width) of the muscle are both pleasurable and may alleviate pain. Self-massage is increasingly popular, thanks to renewed interest in its restorative powers and relative convenience and ease, but also to the increasingly wide range of effective massage devices. Self-massage can use hands to massage certain tense parts of the body, but they can’t reach others and may lack the strength to be effective. The hands may be in need of massage themselves! For some hard-to-reach spots, like the lower back, some people simply lay down (or sit back) onto a tennis ball and gently move up and down or from side to side. 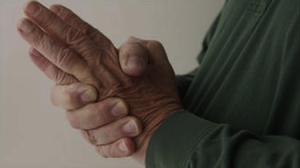 RA commonly strikes the wrists and knuckles, so hand massage can be very helpful to relieving inflammation and tension. Start with a light, circular motion around the knuckle. Keeping the pressure light, move to long stretches along the finger and hand muscles. Rub from the fingertips downward toward the hand. The same techniques can be applied to the feet as well, another area often stricken by RA! Whether self-administered or not, there are a variety of benefits of neck massage on its own. A lot of people don’t know they can suffer arthritis in the neck. Not only can massages in the neck and shoulder area promote better circulation and ease muscle tension in those areas, it can help ease the pain of those suffering from tension headaches, chronic neck pain, eye strain, sinusitis, and migraines. A good neck and shoulder massage should include the arms, back, head, and face. Unlike the usual moderate-pressure massages recommended for RA, neck massages can often include deep-tissue massage, which might be painful to sufferers of RA. While most people think of neck massages as being administered while the sufferer lays flat, seated massage chairs have become increasingly popular. Fifteen minutes in a seated chair may cost you as little as fifteen dollars and be just as effective as an hour-long table massage at $60! So while you may have been diagnosed with RA, there are various practical and even pleasurable massage techniques which can bring at least temporary relief and help you manage life with rheumatoid arthritis.